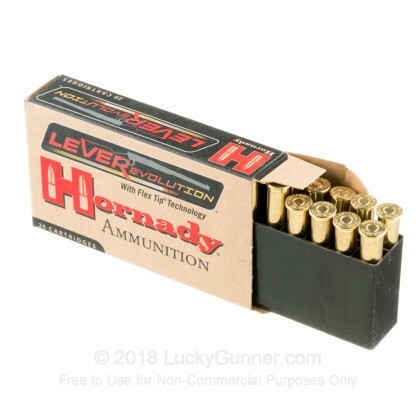 Looking for Premium lever gun ammo? 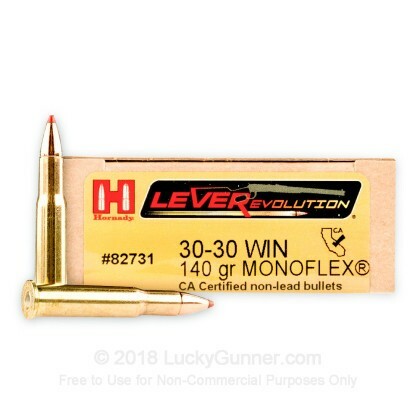 Hornady's MonoFlex LEVERevolution line is a custom grade ammunition that will deliver dramatically flatter trajectories for downrange energy increases and greater terminal performance. It features up to 40% more energy and 250 fps faster than traditional flat point loads. 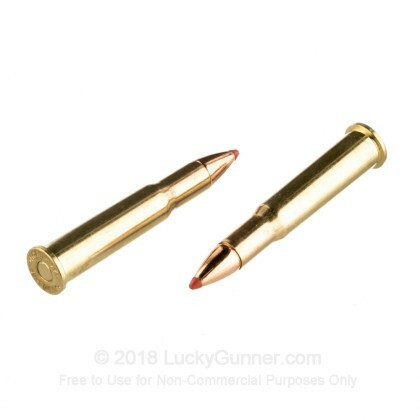 The MonoFlex bullet in this round combines the GMX and FTX bullet technologies to give you the advantage of a monolithic (solid) bullet topped with a polymer tip. 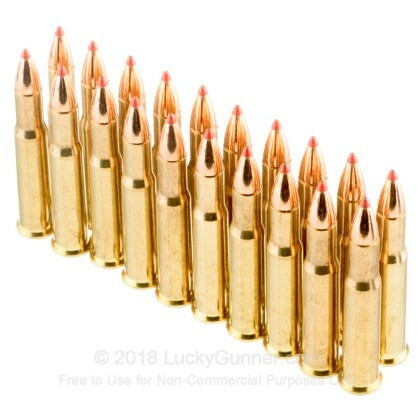 The gilding metal used in the construction of the 140 grain MonoFlex bullet is different from solid copper because it is harder, tougher and creates less fouling. 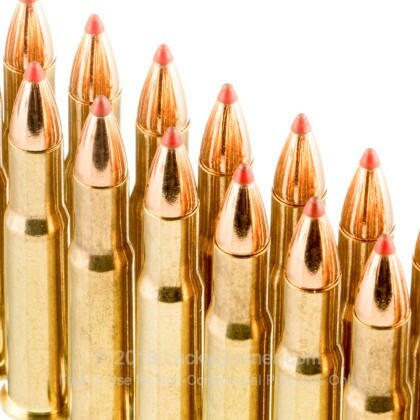 Since it is a solid bullet, you wont get separation and, when recovered, retains 95% of its original weight. You'll love the immediate expansion you get at all ranges thanks to the Flex Tip design too. 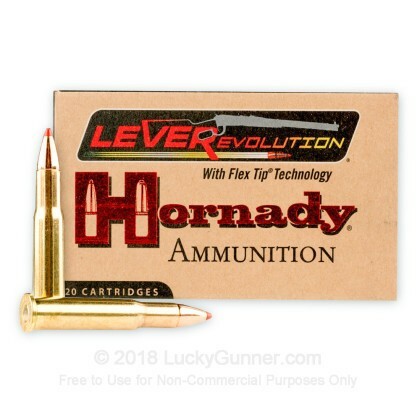 We don't have any reviews yet for this particular .30-30 Winchester ammo from Hornady. If you'd like to be the first to review this particular .30-30 Winchester ammo from Hornady, fill out the form below.